In early February, on the eve of 40th anniversary of the Islamic Revolution in Iran, a large public exhibition of the defence achievements of the Iranian armed forces and military industry was held. 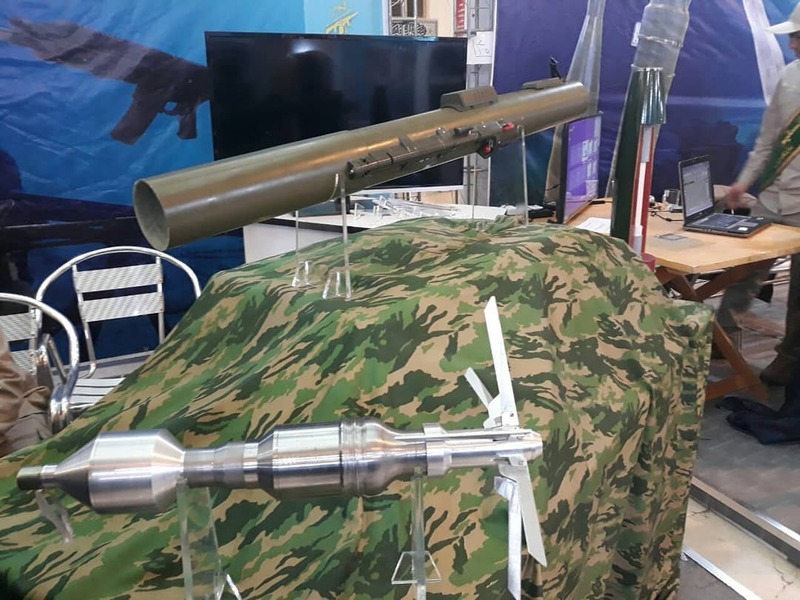 This exhibition, titled Eghtedar 40 (‘Power 40’) showcased Iranian-made ballistic missiles, unmanned aerial vehicles (UAVs), armoured fighting vehicles, surface-to-air missiles (SAMs), and other large systems. Small arms and light weapons were also showcased, and one of the most interesting amongst these was a previously-unseen Iranian shoulder-fired multi-purpose weaon. A launcher, a mock-up of the munition, and a video appearing to show testing were all displayed. It appears that this weapon is still undergoing tests and has not been adopted for service. The configuration of the weapon seems fairly typical, and it is likely similar to other weapons in its class in terms of its physical characteristics. However, it appears that it uses a multipurpose warhead–at least in the video shown–primarily intended to engage enemy personnel in light cover, light armoured vehicles, and structures. This concept is growing in popularity globally, although some examples of these weapons have been around for some time. Other systems using a projectile of this type include the Russian RMG, Chinese DZJ08, and German MATADOR. Generally, weapons of this type feature a tandem warhead, in order to allow for penetration of structures whilst still conveying a lethal effect within. These warheads differ from tandem HEAT warheads designed to penetrate enhanced vehicle armour, however. Typically, the first stage of a ‘multipurpose’ munition design is a HEAT warhead, designed to penetrate armour or part of a structure. This essentially clears a path for the second warhead. The second stage is generally an HE, HE-FRAG, or thermobaric design, designed to inflict devastating damage on personnel inside the vehicle or structure. Of course, this tandem design must strike a balance between penetration through the intermediary barrier and damage to people behind the barrier. Such designs are less effective at penetrating armour than advanced tandem HEAT types, and produce a reduced destructive effect compared to a large HE-FRAG or thermobaric warhead. It is quite likely that this new design has emerged in Iran now as a result of the experiences gained during intense urban fighting in Syria. Protracted battles through war-torn cities and towns have, in many cases, posed a steep learning curve for Iranian forces in the country. 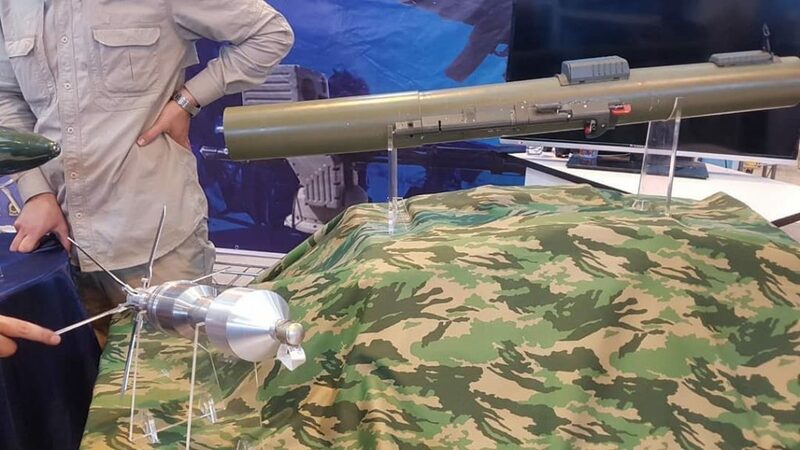 According to information provided by an Iranian source, this new weapon has a maximum range of 500 m and a can penetrate approximately 300 mm thick intermediary barriers. Special thanks to an Iranian source.